Scent: Light to Medium, distinct but pleasant. Consistency: Medium – Jojoba is not really an oil, but a liquid wax. Benefits: Jojoba (pronounced ho-ho-ba) is quickly absorbed and is excellent for dry and mature skins as well as inflamed conditions. It acts as an emulsifier with the skin's natural sebum and gently unclogs the pores and lifts grime and embedded impurities. Over time, the use of Jojoba oil significantly changes the appearance of pore size. Helps to control acne and is also an antioxidant. Recommended after the sun to soothe the skin, it is also revitalizing for dehydrated and tired skin. Jojoba is well tolerated by people with skin problems. 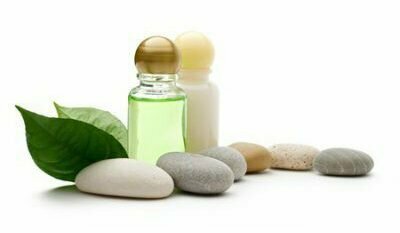 It does not aggravate acne or clog pores Jojoba is excellent at breaking down oils, cleaning hair follicles and removing dirt. When used on the scalp it can have the same oil-regulating effect it has on greasy skin. Chemical Analysis: Palmitic, palmitoleic, stearic, oleic, linoleic, linolenic, and arachidic, eicosenoic, behenic, and erucic and lignoceric fatty acids. Contains vitamins E and B complex and has the minerals silicon, chromium, copper and zinc. It has a very high percentage of iodine, almost 81.7%. The iodine concentration gives the Jojoba oil a great power to heal. Increasing jojoba-like wax ester production in Saccharomyces cerevisiae by enhancing very long-chain, monounsaturated fatty acid synthesis.